Medical Microdermabrasion (MDA) is a very effective, non-surgical skin treatment – perfect for reviving your complexion and creating a youthful, radiant glow. The technique works by spraying tiny microcrystals onto the skin’s surface, which exfoliate and remove the outer layer of skin cells, revealing a softer, brighter complexion. At The Banwell Clinic our highly experienced professionals use the latest microdermabrasion technology to achieve impressive results. By encouraging cell renewal, the treatment stimulates the production of collagen and elastin which plump and smooth the skin. This reduces signs of ageing and can also be effective in removing acne scarring and sun spots. It is especially good for those who are prone to breakouts and pimples as it helps clear unwanted blackheads. Microdermabrasion is suitable for all skin types. For optimum results we normally recommend a course of 6 treatments. This treatment can also be used in conjunction with other non-surgical skin procedures, such as luxury photogenic and photosonic facials. Microdermabrasion is an effective, non-surgical treatment which rejuvenates the complexion by exfoliating the top layers of the skin. This removes old skin cells and stimulates collagen production underneath, leaving your skin smooth and refreshed. It also minimises the appearance of fine lines, scarring and pigmentation. What does microdermabrasion treatment involve? We will first carry out a consultation to discuss the procedure and answer any questions you may have. We will then cleanse your skin and start the microdermabrasion process using a small hand-held device. This is slowly moved across your face emitting tiny microcrystals and vacuuming back dead skin cells. Finally, your skin will be soothed with a special relaxing face mask and thereafter a nourishing cream; you may return to your daily routine immediately. What benefits will I see from microdermabrasion? Your skin should look fresh and smooth with a healthy glow. Improvements in the appearance of wrinkles, scarring and pigmentation may take a couple of treatments. 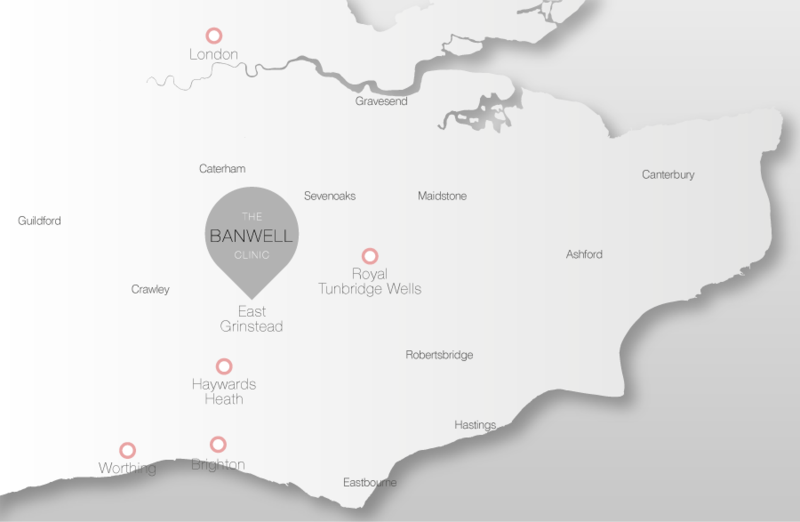 At The Banwell Clinic we normally recommend a course of 6 treatments for optimum results. Are there any side-effects of microdermabrasion? You may notice some redness and/or dryness during the first 24 hours after your treatment, but this should subside quickly. The ultimate luxury non-surgical facial treatment for the skin. A very effective, non-surgical treatment to lift and tighten the skin.